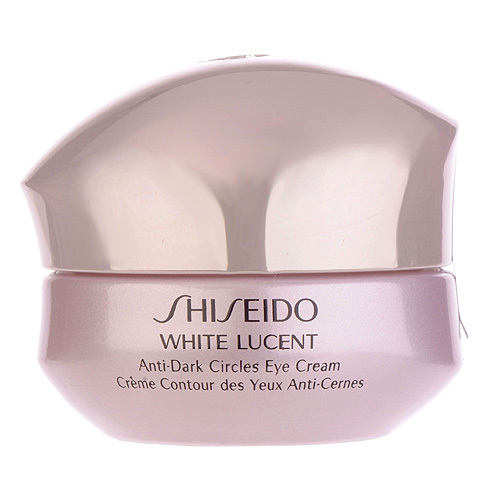 Shiseido White Lucent Anti-Dark Circles Eye Cream is an intensive eye cream that effectively targets the two major causes of dark circles: pigmented melanin formation and poor microcirculation. Instantly, vivid brightness appears around the eye contour area. Dark circles are visibly reduced over time, revealing a youthful look and perfectly radiant skin.Shiseido White Lucent Anti-Dark Circles Eye Cream formulated with Shiseido-exclusive Dark Circle Diminisher, which works three ways: targeting the root cause of pigmentation, inhibiting melanin production, and instantly boosting microcirculation to infuse fresh vibrance and radiance to the eye area. How similar is jaquiedyko's skin with yours? Take the Skin Assessment to find out how similar you are and find your SkinTwins.